Helps in quick and hygienic processing to cook healthy and cook faster!!! New Delhi, 19TH May, 2017: It’s time for hunger pangs and cravings for home cooked food. Well, Noodles, Pastas, dosas, juices, smoothies and soups….just name it and you will be up for making it! If your kitchen is equipped with the perfect Kitchen Appliances, making a variety of these scrumptious, healthy, fresh and hygienic dishes is no longer a time consuming process. 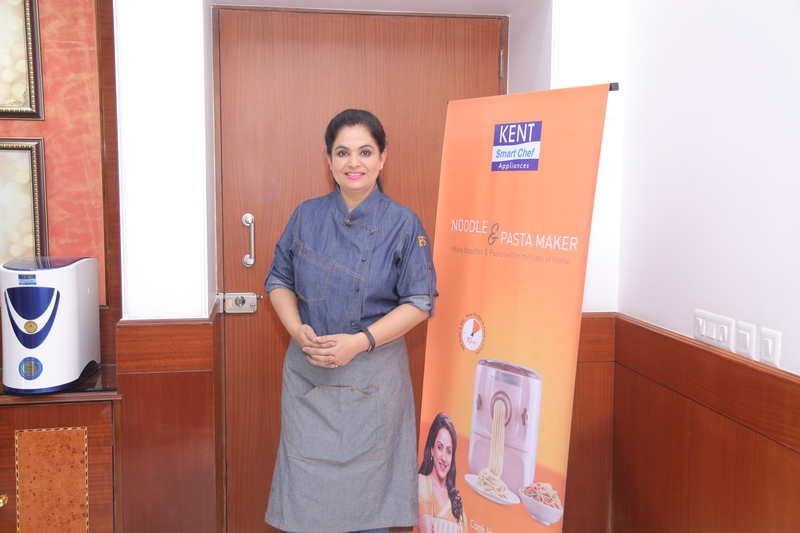 “Kent Smart chef appliances” has introduced the all new and innovative KENT Noodles & Pasta Maker and KENT Turbo Grinder and Blender to cook healthy and cook fast. 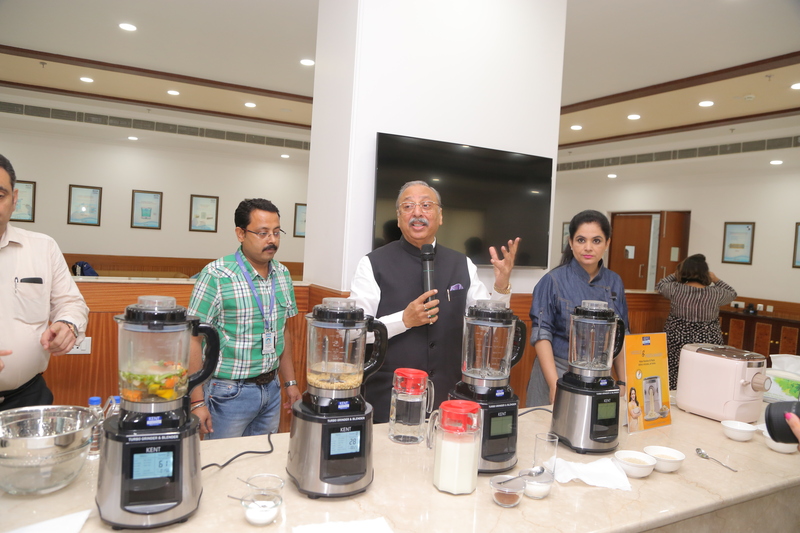 Present on the occasion was Dr. Mahesh Gupta, Chairman, KENT RO Systems Ltd., Masterchef Pankaj Bhadouria & Nutritionist Kavita Devgan. The launch was followed by Live Demonstration session by the renowned Chef Pankaj. “Any food appliance that can get people back to cooking in their kitchens by making cooking seem easy and accessible has my thumbs up. Because the fact is that people have been moving away from cooking and that has had disastrous results – it has lead to an epidemic of lifestyle diseases in the country. 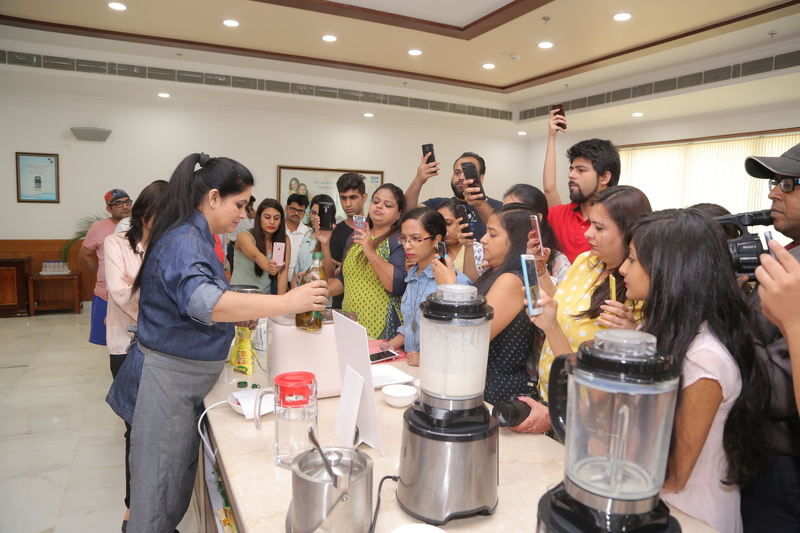 Fresh, preservative free, nutrient rich food is the need of the day, and that is possible with this noodle and pasta maker” sharedKavita Devgan , celebrity nutritionist and author at the launch. KENT Turbo Grinder and Blender is no exception as it is in sync the brand philosophy. It is a new age high speed blender for home which helps in quick and hygienic processing to make a variety of food and beverages easily at home. It can easily make dosa batter, besan batter, fruit smoothie, cold coffee, soup, soya milk, milk shake, juice and crushed ice in just a few minutes!”The Kent Turbo Grinder and Blender features heating function. With the help of this unique feature you can make hot beverages like tea, soup and soya milk in the same jar. With its quick grinding and blending quality you can make dosa batter and grind dal in less than 3 minutes. It comes with a multipurpose jar which means that you can use the same jar for wet and dry grinding for hygienic, convenient and hassle-free experience. Also it is high speed and high power as it made of high- grade Japanese stainless steel blades, 30,000 rpm speed and 3KW motor for effortless grinding as it makes the process quick and efficient. Furthermore it offers preset menu options with automatic operation for extra convenience. The 12 preset menus utilise a fully automatic process to make a variety of dishes like juices, soya milk, smoothies, milk shakes, ice-cream, herb tea, dosa mix, porridge, soup, powder, mince and steam cooking. The smart LCD display which is a digital panel with LCD screen facilitates you to use different functions for different operations. It is extremely pocket friendly priced at Rs. 14,950/-. Wherein, Kent noodle and pasta maker features automatic mixing, kneading and extruding functions in one go. So all you have to do is choose a program and relax.It is easy to dismantle and assemble. Its user-friendly shape makes it extremely easy to use and operate. Kent Noodle and Pasta Maker come with 7 different shaping fitments. These fitments can be used for making personalized noodles, pasta, momos and gujia of different sizes and shapes. There are 3 shaping attachments each for preparing noodles and pasta with which one can make 3 different shapes of noodles, 3 different shapes of pasta and a single shaping die for momo/gujia. These accessories help one to relish different types of pastas, noodles and momos of their choice. Depending on personalized taste and preferences, one can enhance the taste by adding the ingredients such as eggs, herb spinach or carrot juice to make pasta, noodles, momos and gujias of their choice. One can also mix different flavour and colour to the flour/wheat in order to enrich the taste of the final product. So Skip fast food and start making your own snacks. Add KENT smart chef appliance to your kitchen and stay healthy. Previous Post Delhi Food Truck Festival Or A Joke ?